Jewellery that contains a special message: bracelets from the Trendsetter Collection by Nomination. Dedicated to men and women, this collection’s accessories are crafted in stainless steel and are embellished with precious finishes in yellow and rose gold for her, or with sterling silver detailing, brilliant gemstones and enamel for the men’s bracelets. They are trendy but also elegant accessories: many of the Trendsetter bracelets contain a plaque with an engraved phrase to give to a man or a woman on a special occasion. But that’s not all: many of the men’s bracelets with plaques can be engraved on the back with the message you want to send to a special someone. It’s unique, customised jewellery guaranteed by Made in Italy quality and the beauty of a handcrafted engraving. 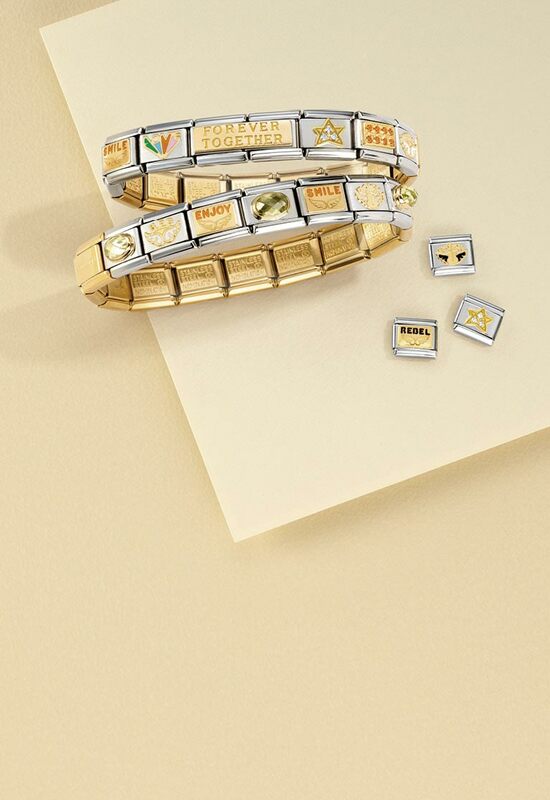 Choose the bracelet you want engraved from among the many options from the Trendsetter Collection. Looking for a special gift for your boyfriend or husband? Want to surprise a boy you really like with jewellery that’s just for him? You’d like to send a guy a special message on his birthday? Do it with an inscription in metal. Among the selection of men’s bracelets you’ll find numerous versions that have a plate you can inscribe on the back: a message, a date, a phrase. 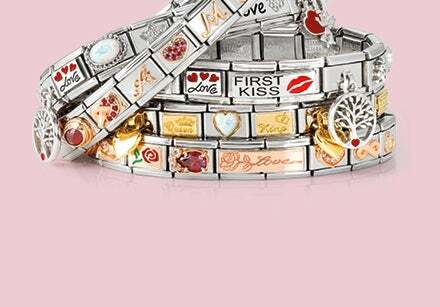 Write what you want on the bracelet with a plaque to give to a special guy. Because a bracelet with an engraving is the perfect jewellery to wish the very best to someone you love. Want to surprise a special woman on an important occasion? Choose one of the bracelets with engraved phases dedicated to her! 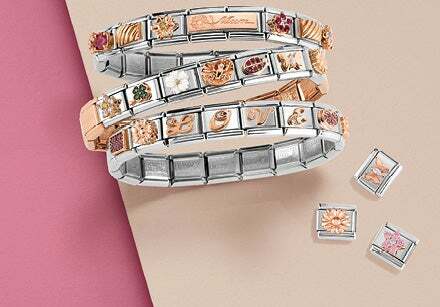 Jewellery from the Trendsetter Collection for women is crafted in stainless steel with yellow or rose gold finishing. Choose which one according to her style: sophisticated or romantic? Each bracelet for women contains a meaningful inscription: a motto or inspirational phrase she can wear every day as a reminder of just how important it is to be yourself. As an alternative to the bracelets with engravings, there are bracelets with plaques decorated with strong symbols: the infinity symbol for an indestructible friendship, hearts for a true love, and four-leaf clovers to wish someone you care about the very best. The Trendsetter Collection has also introduced several maritime themed bracelets for men: the perfect accessories for lovers of the sea! The Trendsetter bracelet base, with symbols dedicated to the sea and ocean, is that of the Composable bracelet: in stainless steel, composed of interchangeable Links which allow you to customise it. Each bracelet has a plaque with an engraved symbol related to the sea: an anchor, a wind rose, a knot, ropes. Based on his tastes, choose the maritime themed bracelet in classic stainless steel, or in black or grey finishing. Only for true ocean lovers!